At My Dentist at Cannon Hill, we care about your dental care. Our general dentistry services are designed to give you a great foundation for your oral health as well as your overall health. This includes preventative, family and emergency services, our gentle general dental care will help you to feel at ease and protect your all-important smile. A visit to My Dentist at Cannon Hill will remove the tartar through scaling and smoothen the surface of your teeth through polishing. This will give you a fresh look and feel while lowering the retention of dental plaque. • Lifestyle habits, such as the consumption of coffee and smoking, will leave stains on your teeth which cannot be removed with routine brushing and flossing. To remove stubborn stains that can’t be cleaned with scaling and polishing, we apply a pressured jet powder onto the teeth. This will effectively remove stains caused by smoking, coffee, tea and red wine. • Our friendly dentists believe that prevention is better than a cure. The topical application of fluoride prevents dental caries and tooth decay by making your teeth more resistant to the acids that are generated by bacteria. It is also a great way to strengthen the enamel in early-stage cavities. 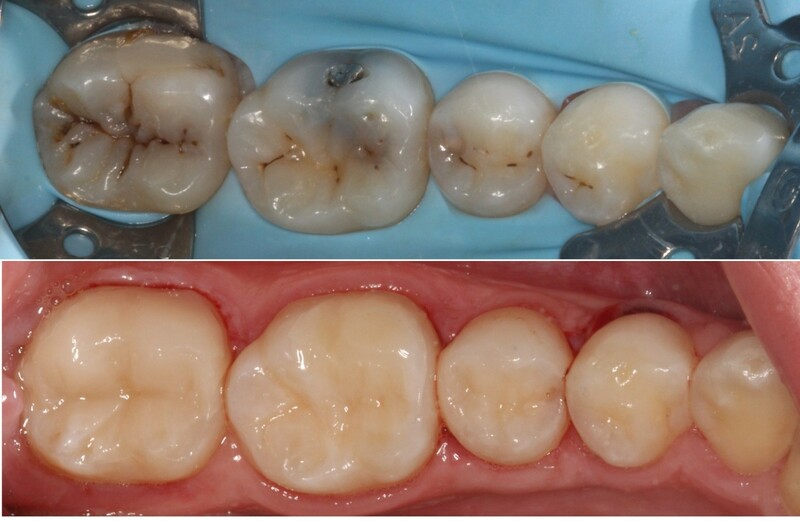 • Amalgam fillings and metal fillings are becoming obsolete as more patients choose to go with composite resin “tooth-coloured” fillings that offer better aesthetics. If you need an artificial tooth replacement as part of your treatment, composite resin fillings will hide the fact that you once had cavities! • Our dentists may recommend custom mouthguards to prevent or reduce injury to the face, jaw and teeth. Custom mouthguards are made for both children and adults and are required for anyone that play sports where there is a potential for damage to the mouth. General dental care is essential for the entire family. My Dentist at Cannon Hill helps every smile to last a lifetime, with special treatments and Medicare benefits for children. Learn more about children’s dentistry here. Appointments for dental emergencies are available daily at My Dentist at Cannon Hill. Call us on 07 3902 1023 or find out more here. We understand how nerve-wracking a visit to the dentist can be. We believe that having a dentist who truly cares makes a lot of difference. We provide a friendly team with open ears, as well as all the latest technology for painless dentistry. Read about how My Dentist at Cannon Hill can help you. My Dentist at Cannon Hill provides general dental services to Brisbane and the local area of Cannon Hill as well as the surrounding suburbs. Our service areas include Murarrie, Morningside, Carina, Carina Heights, Tingalpa, Hemmant, Balmoral, Hawthorne, Bulimba, Carindale, Belmont, Seven Hills and Camp Hill. If you would like more information or to make an appointment please contact us online or call 07 3902 1023.